Reviews Bee chose Medical Guardian as our top rated medical alert system because it rated the highest in our comprehensive algorithm, taking into account expert opinions, consumer reviews, and buyer complaints. With a score of 9.9, Medical Guardian outperformed all other medical alert systems in our Top 10. Medical Guardian is a medical alert system that you can get started with a minimal investment and commitment. Offering equipment free of charge with a three month contract, Medical Guardian has one of the most generous account startup offers available. There is no professional installation required, free equipment, free shipping, and no activation fee. Each Medical Guardian system comes with two pendants, a feature that is normally a paid extra with other medical alert systems. This means that your loved one can have one pendant on and another in a convenient location, or two family members can wear one for no extra cost. This feature is ideal for elderly married couples who would normally have to pay for two plans or extra equipment on a single plan. Medical Guardian is an emergency call service only. Fall detection equipment is available for an additional monthly service fee. However, smoke detection, and carbon monoxide detection equipment are not available. 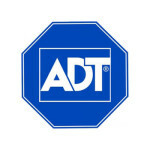 For a basic, dependable medical alert system, it is affordable and ranks well with both experts and consumers. Those who require the added peace of mind that comes with fall detection equipment are able to obtain it at an affordable price. After the initial three month contract period, Medical Guardian customers are free to pay on a month to month basis with no cancellation fees if you end service. Though there is a short up front commitment, there is no equipment or setup fee. 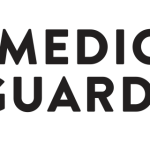 Reviews Bee has compiled hours of research on Medical Guardian’s medical alert system so that you can save time and still make an educated decision about which system is right for your family. Experts recommend Medical Guardian as a reliable medical alert system that is available without a large upfront investment. For many seniors, the cost of a dependable medical alert system is more than they can afford. Medical Guardian has put a quality system within their reach by eliminating installation, activation, and equipment fees. New clients simply pay for the first three months of monitoring service, and they have nothing else to pay for until month four. Medical Guardian does not sacrifice the quality of equipment for the sake of affordability. Customers receive highly rated equipment with a variety of options. One great feature is a second included pendant that can be used for a second person in the household, effectively giving the customer a buy one get one free medical alert system. This is great for elderly couples who both can benefit from medical alert system monitoring. Fall detection and GPS monitoring equipment is available for a higher monthly fee for the clients that require it. Mobile equipment is also available, giving the customer protection wherever they go with range unlimited by a home base unit. Experts rate the Medical Guardian medical alert system well for a variety of reasons. Reviews Bee has compiled expert ratings from multiple websites in order to provide you with the most comprehensive rating available on medical alert systems. In this component of the Reviews Bee Score, Medical Guardian was rated higher than any other medical alert system in our Top 10. A favorite among experts, Medical Guardian 911 certifies all monitoring center representatives and offers vital fall detection technology. The home base system has an impressive range, but Medical Guardian offers a mobile GPS based system for those who need their medical alert system to take them even farther. Reviews Bee looks beyond the star ratings of the consumer reviews and looks deeper to develop our Consumer Popularity Score. To calculate this score we read each available consumer review and consider the trends and shared experiences found among customer comments. In this category, Medical Guardian again ranked in the middle of Reviews Bee Top 10 medical alert systems. Consumers note satisfaction with customer service at Medical Guardian, as well as appreciation of the two pendant system as a standard feature. The setup and installation is regularly praised for its simplicity. Customers are encouraged to check-in and test their equipment with friendly monitoring center representatives. The Medical Guardian system connects with a monitoring center rather than directly with 911. This is preferred by some clients who would like the opportunity to discuss their situation and alert family members before having emergency personnel dispatched. Consumer star ratings accompany reviews on most consumer review websites. Reviews Bee has averaged these star ratings to calculate this component of the overall Reviews Bee score. After reviewing over one hundred consumer reviews from several different trusted websites, Reviews Bee placed Medical Guardian in the middle of our Top 10 medical alert systems. Customer reviews are likely to have a wider range of opinion than expert reviews because they are the result of an individual’s limited experience with a single medical alert system. While experts compare and contrast system features, costs, and service, an individual may base their review on one event, be that good or bad. Since Medical Guardian does not offer professional installation, some consumers inevitably reported challenges with successfully setting up the equipment. Most clients are able to connect the system and check in with the monitoring center with no difficulties. Other complaints dealt with Medical Guardian’s mobile GPS based medical alert system. In some areas, customers found that the GPS technology would not operate or could not connect to the Medical Guardian monitoring center. While this is to be expected in rural areas, the consumers who experienced this problem expressed frustration. 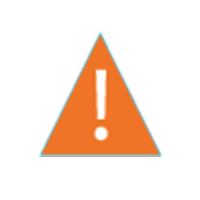 As with other medical alert systems, Medical Guardian has some reported billing problems, especially with clients who have attempted to cancel their service and are expecting a refund. Since Medical Guardian allows month to month payment that would make cancellation simple, consumers who are concerned about this issue can select that option. 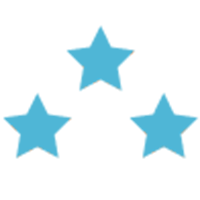 Medical Guardian is a solid medical alert system that consumers can choose for a minimal investment. The free equipment includes two pendants, which makes it an affordable solution to households that have more than one person requiring a medical alert system. Medical Guardian’s basic household equipment is reliable and offers top rated customer service. They also offer premium services that include mobile equipment and fall detection technology.Reviews Bee is happy to include them as our top recommendation for medical alert systems.